The Milepost5 December Reading will feature Bill Siverly, Katie Eberhart, and Justin Price. 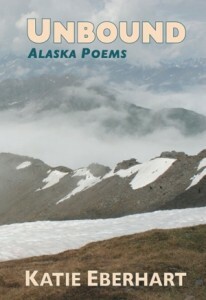 I’ll be reading from Unbound: Alaska Poems. Hope to see my Portland friends there! The reading, presented by Elohi Gadugi Journal, starts at 7:00 pm, Tues. Dec. 17, 2013 at the Denizen Gallery, Milepost 5, 850 NE 81st Ave., Portland, OR. More information on the Artists’ Milepost web site, including bios. This entry was posted in Books, Events, Unbound: Alaska Poems on November 23, 2013 by katie eberhart.